INTERVIEW - Raging Justice - Use a Potion! It’s absolutely oozing with style and is a blast to play through. 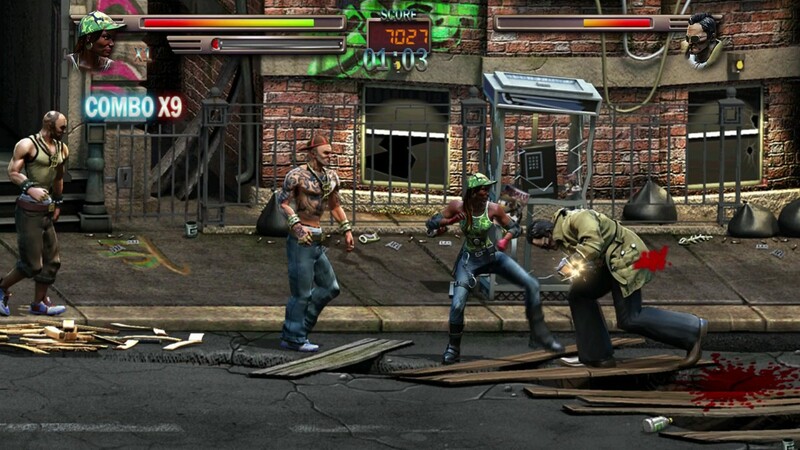 I got to try it at EGX 2015 and was really impressed – the game plays great, looks great and really brought back memories of playing classic brawlers like Streets Of Rage and Double Dragon. How would you describe Raging Justice in your own words? 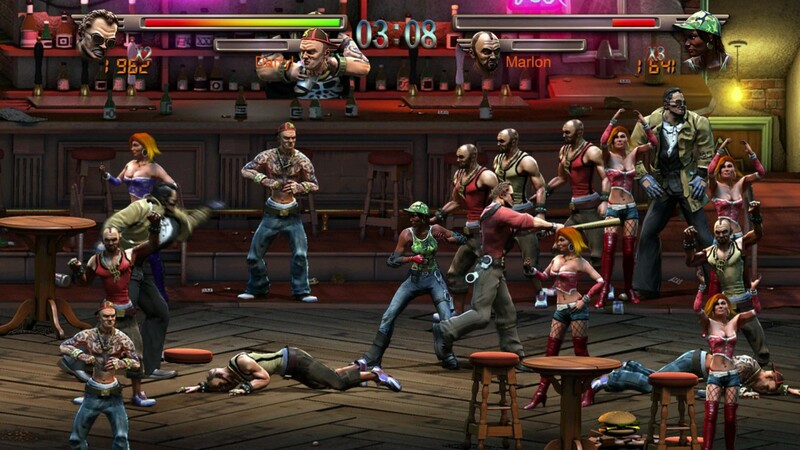 Raging Justice is a nostalgic side-scrolling brawler. 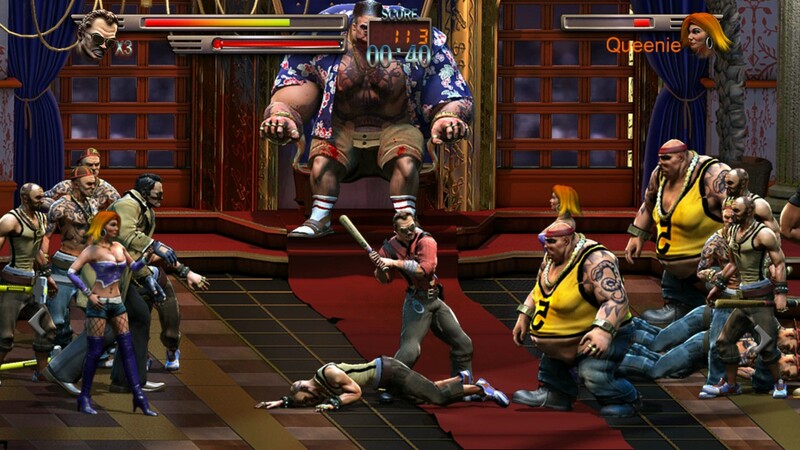 It’s a modern game but it tries to make you remember the side-scrolling brawlers that were for me my youth. Games such as Double Dragon, Streets Of Rage, Final Fight or Vendetta – these were the games from my youth and I’m trying to make a game now that lives up to my memory of those games. You can see that Raging Justice wears those inspirations like a badge of honour. Was it just your passion for side-scrolling brawlers that inspired you to make the game or was it also that we haven’t really seen a lot of good side-scrolling brawlers on the market these days? A little bit of both – for me growing up I lived near a seafront arcade, though I didn’t get to go there often because “waste of money those arcade machines”, but when I did go there I would always seek out the brawlers and the fighters. I’d look for Double Dragon, Final Fight, The Punisher or Mortal Kombat. I would just stand there and look at them because for me at that time arcades were what IMAX is to a DVD – it was the place where you see the game. I wanted to have that feeling again so I’m making a game for myself because Raging Justice is the kind of game I want to play and I want to bring that feel to a modern game. One of the really cool features in Raging Justice is that you have the option to play the role of either a ‘good cop’ or ‘bad cop’ giving you the option to make arrests on beaten enemies or just continually beat them to a pulp. How will the play styles affect each gamer’s playthrough? So with the ‘good cop/bad cop’ mechanic each level will contain a quota of people to arrest – if you fill that quota you will be branded a ‘good cop’ for the following level so that will change some of the interface and offer you a bonus that is considered a ‘good’ thing to give you, so perhaps some life re-generation or an extra life. If you play as a ‘bad cop’ and you go ahead and knock out all these stunned enemies, then you’ll be branded as ‘bad’ so you’d be rewarded something someone nasty might have like a baseball bat or some other weapon at the beginning of the next level. It’s like an instant reward for the following level and at the end the game would work out how you played throughout the game and decide if you were a ‘good cop’, ‘bad cop’ or neither – that will go on to alter what ending you will get. 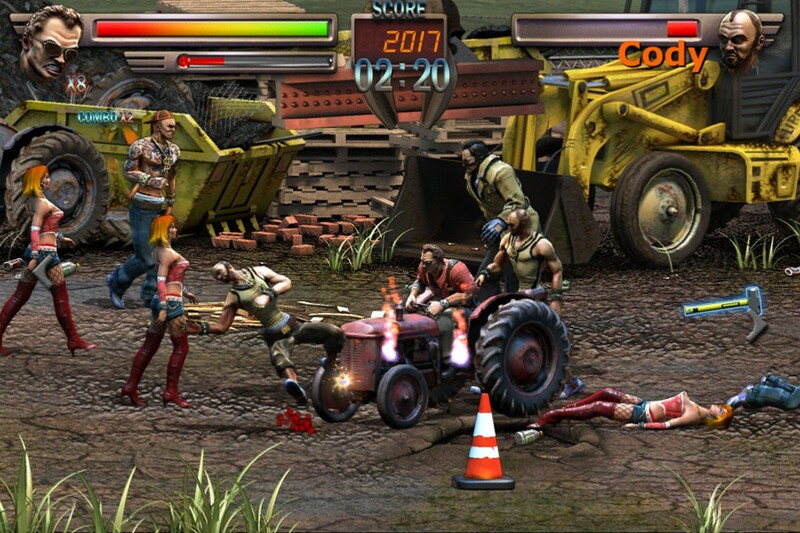 Co-operative multiplayer plays a big role in side-scrolling brawlers and clearly does in Raging Justice. 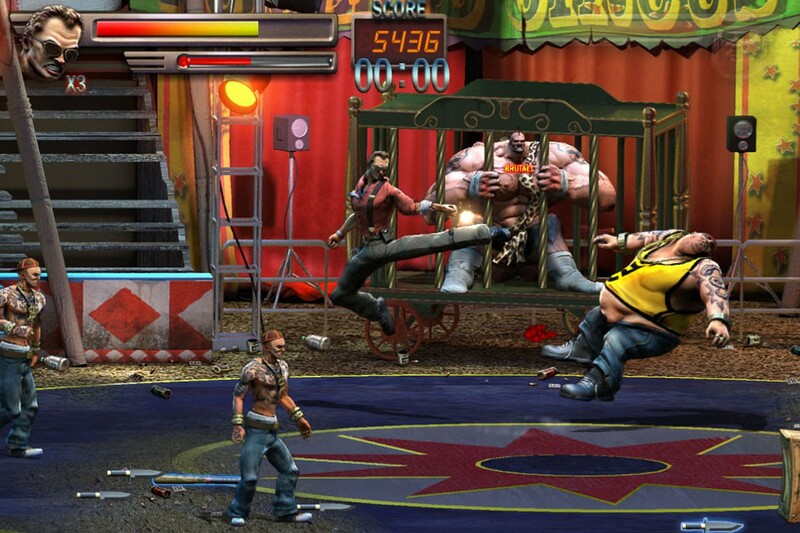 Some of the games that inspired Raging Justice such as Double Dragon and Streets Of Rage have had scenes where despite working together throughout the game you end up having to face off against your co-operative partner. Will we see something like that in the game, or any form of competitive multi-player? We’re looking at adding that and trying to find a way to fit it into the game in a way that it just doesn’t feel tagged on. It’s not fully decided yet but it could be that you’ll play together and when you get to the end one of you has been branded a ‘good cop’ and the other a ‘bad cop’ so instantly you’ve got a hook there for why you might fight. We are looking at other ways to bring multi-player to the game whether that be an endless brawl mode where you would face waves of enemies and you’d try to score as much as you can or last as long as you can. Whether you’d play in co-operation or competition with each other is yet to be decided but we’re looking at ways to extend the game beyond the story mode and we’ll continue this post-release with updates – one of the first things we’ll be looking to update is multi-player to bring online multi-player to the game. Currently we only have local multi-player which suits this game perfectly because that’s how you would’ve played it before the internet was a thing, but nowadays online is kind of expected. So you’ve been in the games industry a long time working with big developers like Rare and Codemasters on high profile games, but Raging Justice is something you’ve been working on for four years as an independent developer. How different an experience has it been developing the game on a much smaller, personal basis? Scary in some ways, great in others. It’s great that I have equal say on matters of the game design, but it’s scary that the game development only finishes if I finish it – that’s pretty damn scary. I can’t palm off any work saying “I need someone to do this”, I have final responsibility on all the coding of the game. It’s exhilarating yet scary. It’s different in so many ways but it also is the same in other ways; it’s still programming, still making a game. All tasks that are required are often my tasks and I have to do them, I don’t have anyone else so it’s scary. But it’s so great to have that kind of responsibility as well. Finally when is Raging Justice coming out and what platforms will we see it on? The game has a hard deadline because my wife, who is running our company, is close to giving birth so I have a deadline there – we can’t add a new feature and push that one out, that one’s coming. I’ll finish the code for the game by that point and then release at the best opportunity. I’ve been told a number of times that end of November/early December is not a good time for indies to release. If you buy Call Of Duty it’s not because you don’t want to buy our game but if you don’t know about our game you don’t buy it – if we don’t have that little tile on the dashboard or the little bit on Steam because Call Of Duty and Tomb Raider have come out that week then our sales will plummet. We’re looking at a January/February release next year on Xbox One, PC, Mac and Mobile Devices. 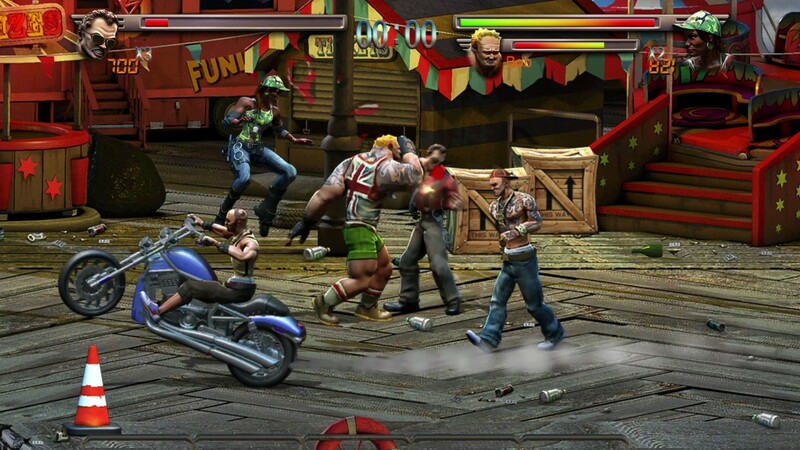 Raging Justice is being brought to us by Makin Games – check out more on the official Makin Games website!